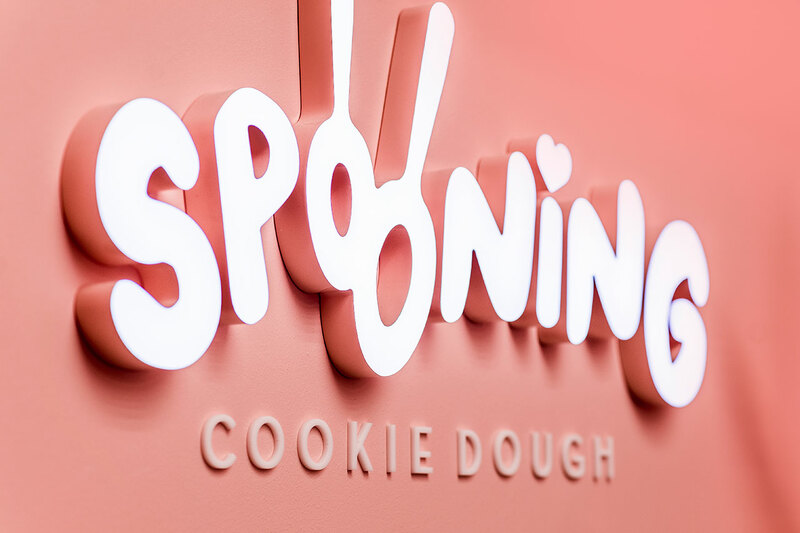 The communication and design agency, Zentralnorden, took a child-like inspirational approach for the creation of the first SPOONING Cookie Dough Bar, which is located in Berlin's family-friendly Prenzlauer Berg neighborhood. 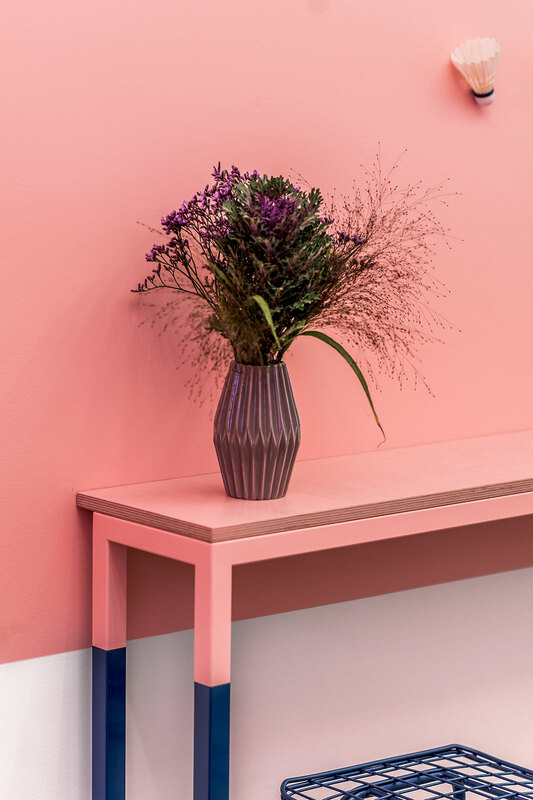 For this, the first shop of the growing food brand - and the first cookie dough bar in the whole of Germany - the designers wanted to evoke the fun, carefree memories which many associate with childhood, in other words "nibbling raw cookie dough in grandma's kitchen." 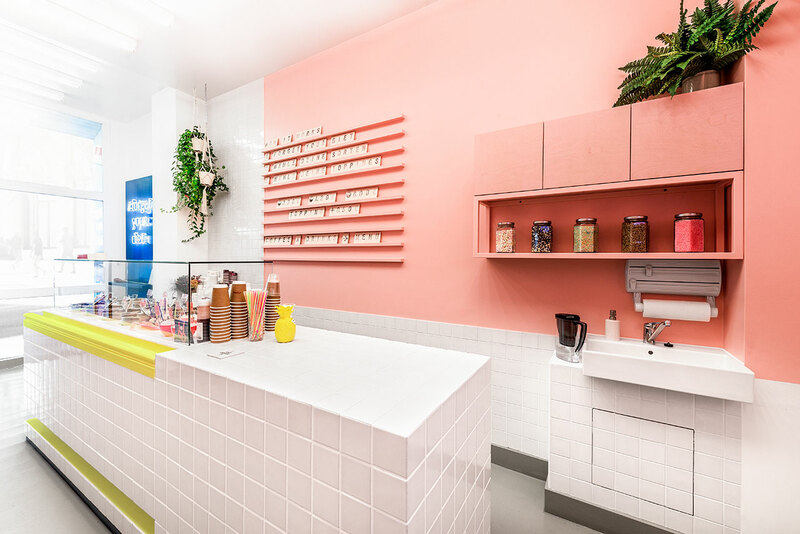 In this version of the sweet memory, "grandma's kitchen" is painted a bright bubblegum pink and the only thing on the menu is cookie dough and- lots of it! 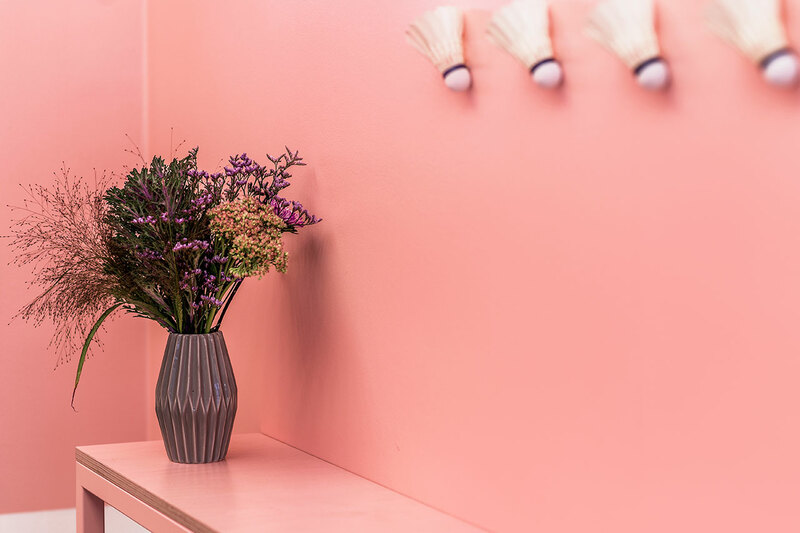 There's a reason that the company's catchphrase (and instagrammable hashtag!) 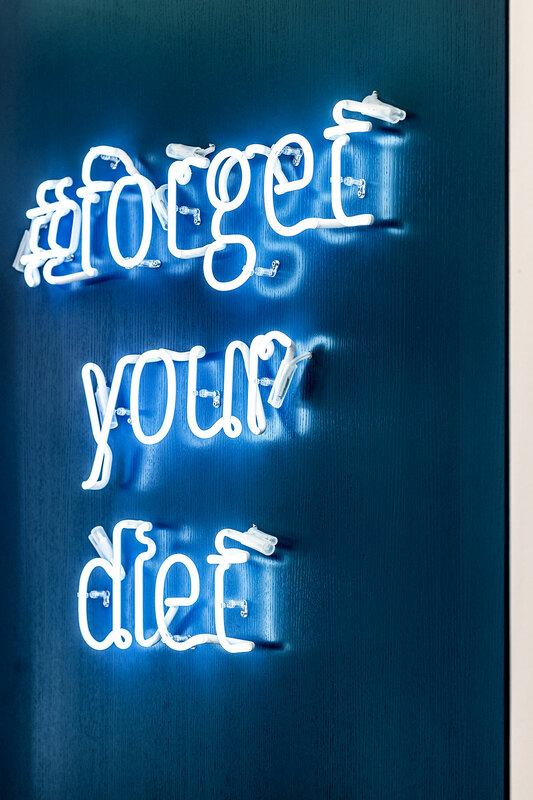 is "FORGET YOUR DIET" seen in the blue neon sign exhibited like a playful art installation on one of the walls of this 22 square meter shop. 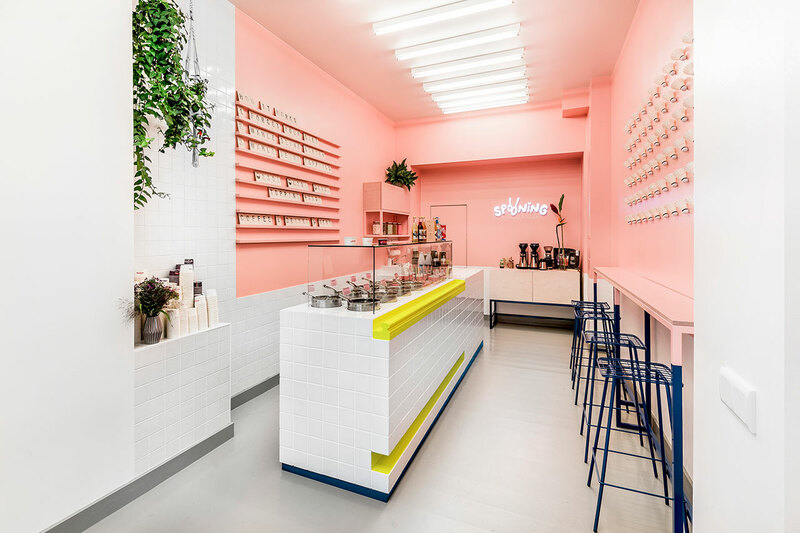 Simple, white tiles in the front of the shop juxtapose the color-burst of pink, while dark blue, coated steel barstools add a grounding effect as they line up against the half-pink, half-blue painted bar running along the one wall. 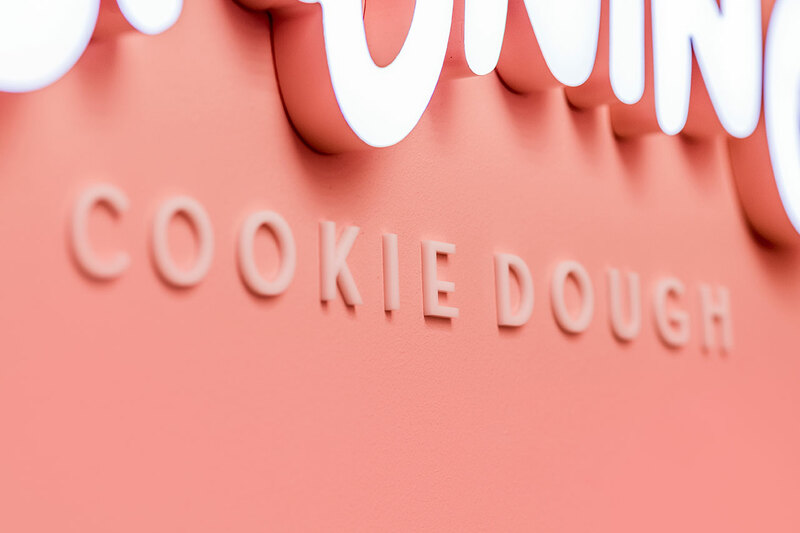 Ten flavors of cookie dough and a mouthwatering selection of toppings - from sprinkles to gummy candy and chocolate, and everything in between that can simultaneously rot a tooth and put a smile on one's mouth - is displayed under a glass-topped, white tile covered freestanding bar in the very center of the store. The gooey dough is the main attraction, after all! 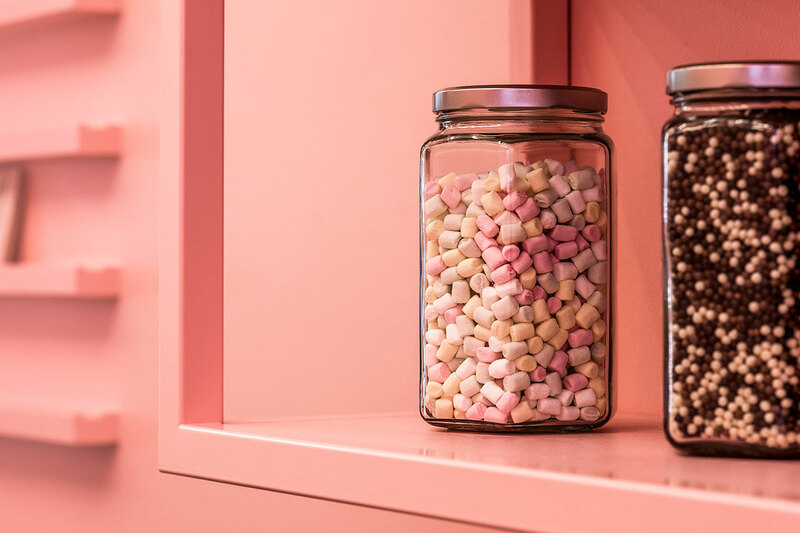 The two walls facing either side of the bar bear tongue-in-cheek reminders that smiles are the only obligatory thing that customers must bring in with them while in the process of selecting (and eating) the sweet, uncooked mixture. 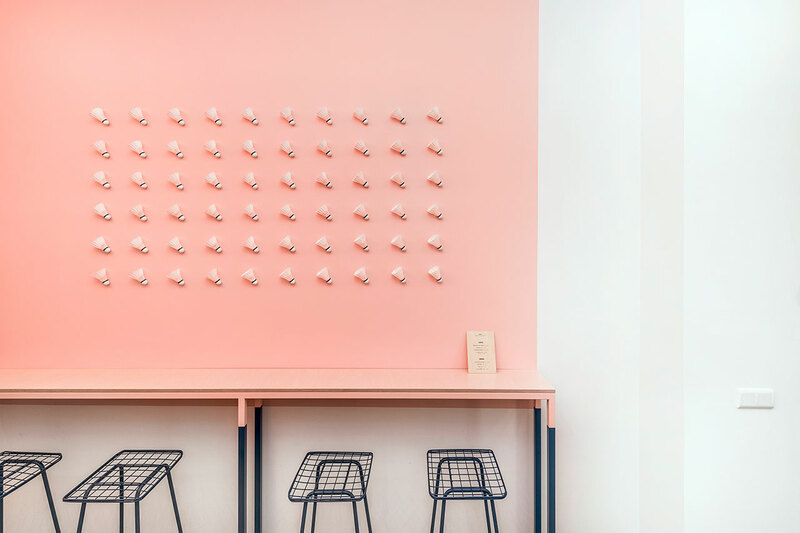 The one wall features an interesting lineup of shuttlecocks (perhaps to inspire some after-munching exercise, but probably not!) 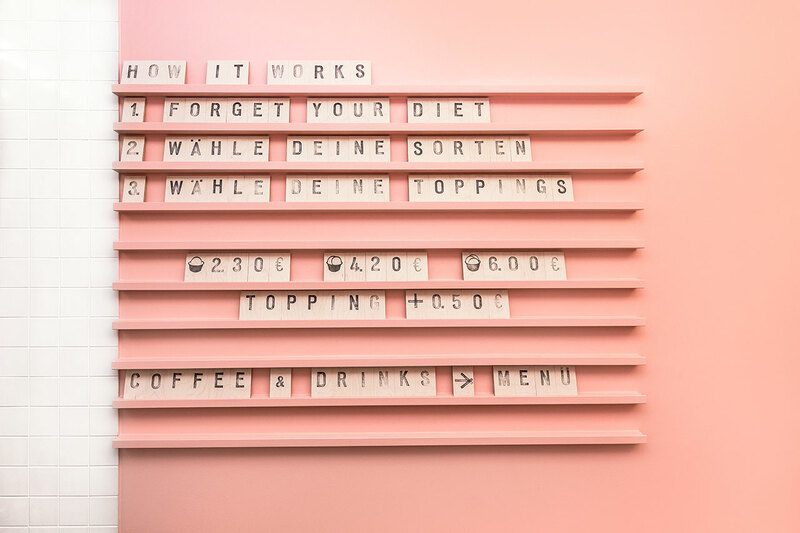 while the other wall sees a menu board with changeable hand-stamped letters on plywood. 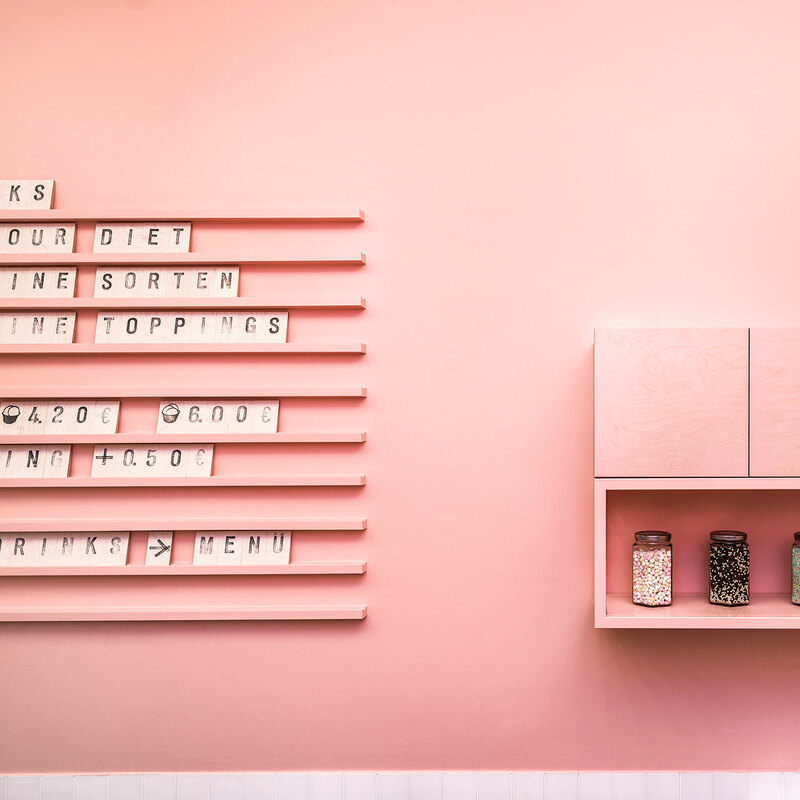 The latter currently lists instructions on how to eat the cookie dough and reminds patrons, once again, to "forget their diets," a concept that seems to be a prerequisite to any fun times to be had down this real-time "memory lane."